From one vaguely referential Twilight Zone franchise to another, director Dan Trachtenberg has signed on to helm an episode of Black Mirror‘s upcoming third season, airing on Netflix sometime this year. It’s still early days though, so no word yet on which episode he’ll direct, or what the story will be. Trachtenberg helped shape 10 Cloverfield Lane into the unique, tangentially related sequel it is, causing many to equate the future of the franchise to a Twilight Zone-esque riff on normal people in particularly perilous – and usually supernatural – situations. Black Mirror is a straight-up Twilight Zone successor, with each episode centering on one particular kernel of an idea, with the major theme of humanity’s reliance on technology stringing everything together. Twelve episodes have officially been ordered for season three (impressive in comparison to the three episode previous seasons), but no word has been given by Netflix on when exactly fans will be able to dive back into the weird, somewhat terrifying world of Black Mirror. They can expect copious amounts of talent on and off screen, however. In addition to Trachtenberg, director Joe Wright has signed on to direct an episode of the season. Actors Bryce Dallas Howard, Malachi Kirby, and Alice Eve are also set to star in various episodes – in undisclosed roles, of course. 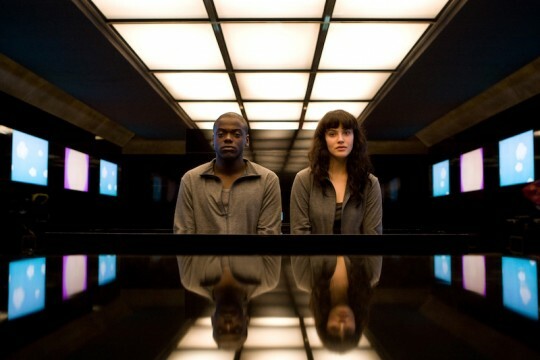 We’ll be sure to keep you up-to-date on any Black Mirror announcements, so stay tuned.